The Newsletter is an independent source of community information (see the Township office and the Township web site www.duluthtownship.org for official minutes, ordinances, applications, etc.). It is published every other month and some 1020 copies are mailed, without cost, to all known Township homes (some 790), plus relevant agencies and officials, local community school teachers, and, by request, to former residents and other interested parties. The Township supports printing by BB&K, a Township business, and mailing by UDAC personnel in Duluth. The Newsletter is focused on the Township and its residents. Outside commercial, political, or religious advertising is not included. The mailing list is private and not available for sale. Periodically there may be an insert listing Township businesses, a mail-back questionnaire, or special information. 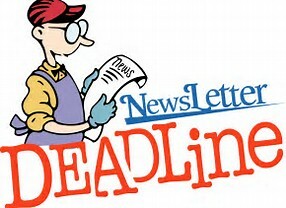 Newsletter deadlines are the 23rd of the month prior to publication to allow for as much time as possible for current information while still accommodating printing and mailing.